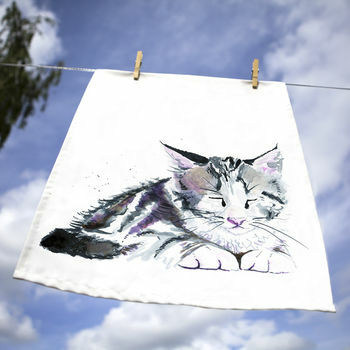 Featuring my Inky Kitten hand drawn illustration in mauves and blues, this heavy-weight 100% Cotton tea towel is the perfect cat lover Kitchen accessory. 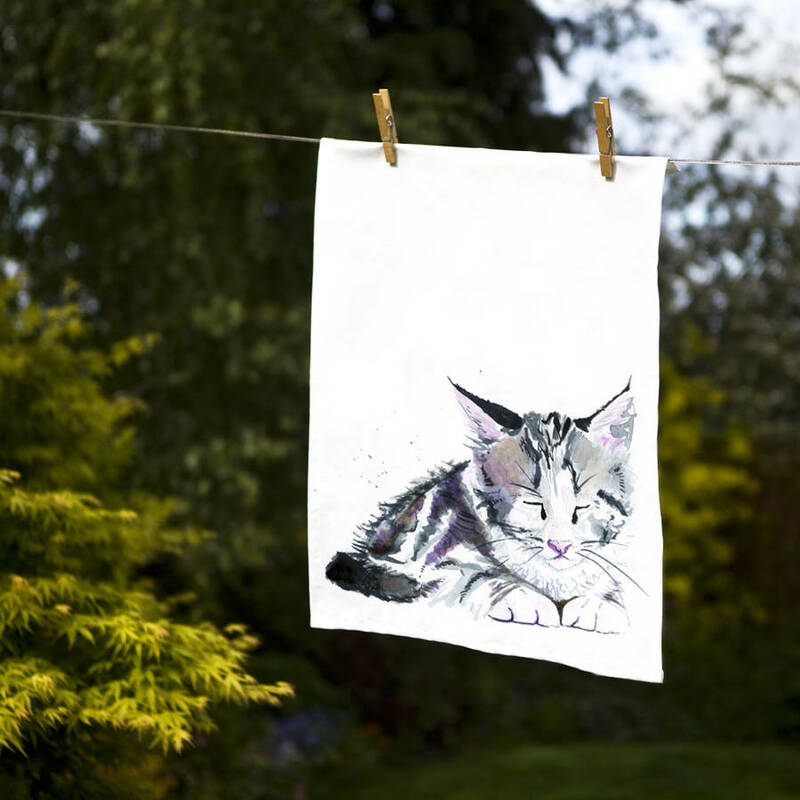 Proudly made in the UK to the highest standard, my Inky Kitten tea towel is both pretty and practical. 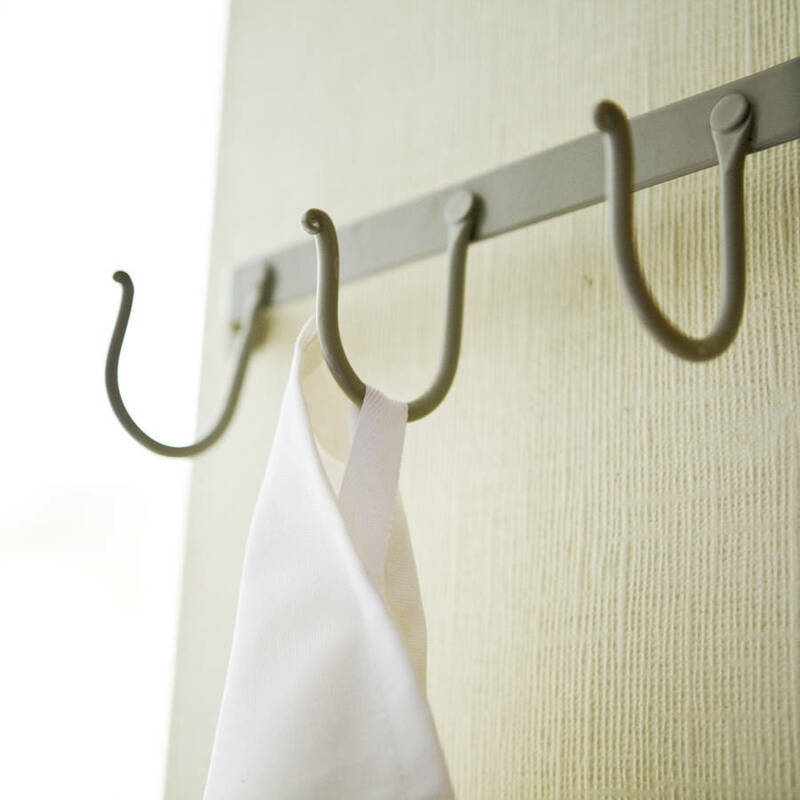 It incorporates a sturdy stitched-in hanging loop and is fully machine washable. 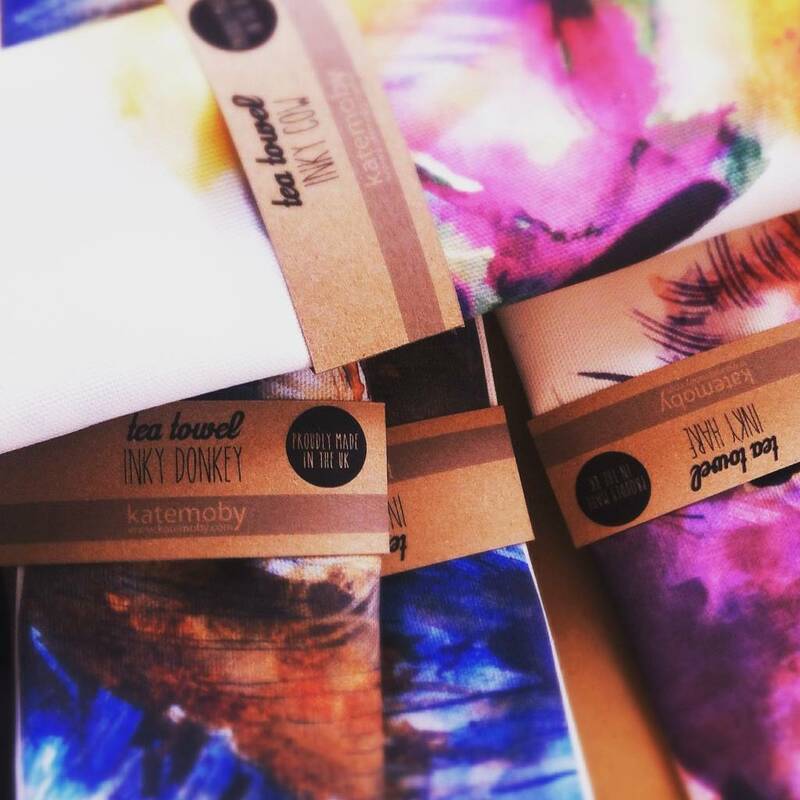 Packaged with a 100% recycled card belly band, for an eco-friendly gift presentation. 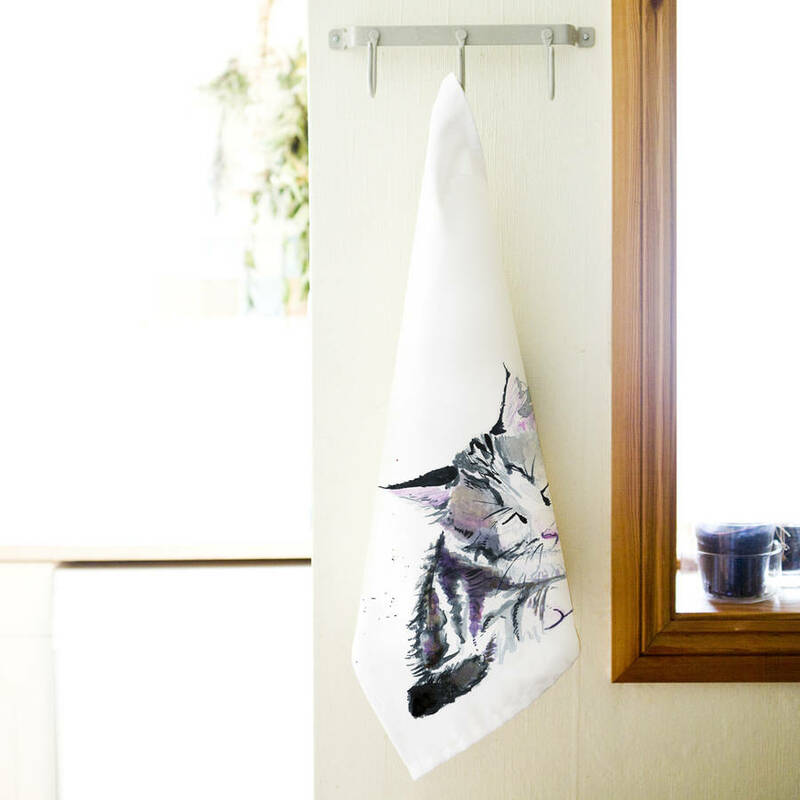 The vibrant colours add a fresh slice of nature and character to any kitchen. Perfect as a New Home gift, a unique wedding present, or to send off a loved one to University perhaps.